It’s a beverage that has a 5000 year history, and its one of the cheapest to consumer. And today, with the advancement of science and technology have found that different compounds in tea provide more than just that kick you get from it in the morning. Its the antioxidants found in tea that detoxify cell damaging free radicals in the body, and help increase immunity to fight infections. 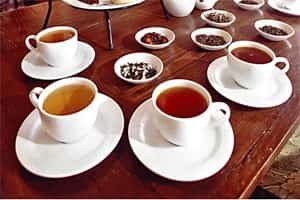 Another preliminary study has found that polyphenols found in tea appear to fight cancer, although more research needs to be done. In addition, tea helps in from fighting infections, controls stress and hypertension, helps retard the aging process, and is good for the skin. Whether its black, green, or white, research has shown all types of tea provide these health benefits. However, good tea doesn’t come cheap. Picking tea leaves is like an art, and the process – from the way it’s grown, plucked, and manufactured, have to be done just the right way. Taking milk and sugar with tea does reduce its health benefits, however, they don’t eliminate them completely. And about 4 to 6 cups a day is recommended to avoid any harmful effects of caffeine. India produces 970 million kilograms of tea per year, of which 80% is consumed right here at home. So experts say its best to take your tea just the way you enjoy it, and be happy with the healthy bonus it provides.